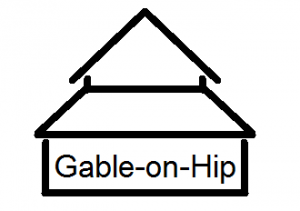 The Gable-on-Hip roof type is a stylistic combination of the gable and hipped roof types. 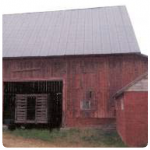 A hipped roof has a slope on all four sides but purely hipped roofs are usually avoided as barn roofs, despite being the cheapest to build, since they dramatically decrease the amount of storage space in the loft. 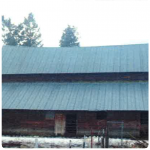 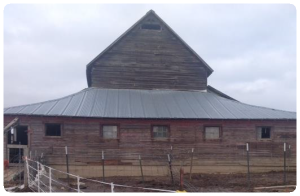 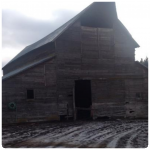 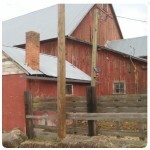 Two listed barns in Spokane County were built with a gable-on-hip roof, the Henry Allice Farm and the Stuart Farm, although both only have the hipped roof on one gable end. 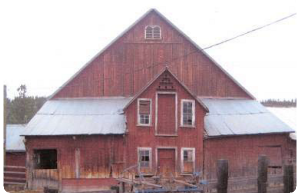 The Stuart Farm, interestingly, could be considered a mixture of the gable-on-hip and western barn roof styles which produces a truly unusual roof.